Decoding VINs for vehicles older than 1981? 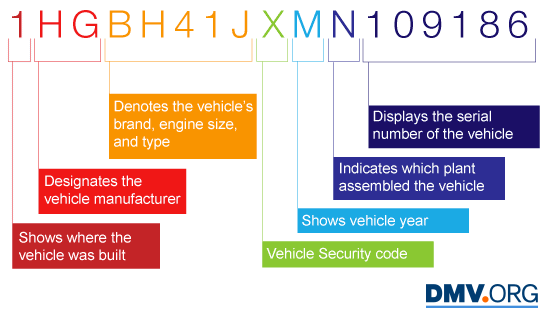 If you're like most people, you probably think a vehicle identification number (VIN) is just a series of random characters. Actually, each character in this highly structured code has its own meaning. In fact, deciphering these codes is a hobby for some car enthusiasts, including collectors who want to own one of the first or last cars to come off an assembly line. When you're considering purchasing a pre-owned vehicle, it's always a good idea to obtain a vehicle history report (VHR) or VIN check. Knowing how to read the VIN could help you make an informed decision before you buy. As shown above, the 10th character of the VIN indicates its model year. The 1st character in a car's vehicle identification number indicates the country in which it was manufactured. If you are not sure where to look for your vehicle's VIN, visit our section on Locating a Vehicle Identification Number.